The new season is here, so we’re taking a look at the biggest beauty trends of spring 2019. From catwalk-inspired ways to shake up your routine to new product launches available at Princesshay, we have you covered. As ever, The Cove beauty salon is your port-of-call for treatments like facials and microdermabrasion, brows, lash lifting, shellac manicures and more. And if you’re looking to freshen up your locks, or maybe go a shade lighter ahead of the warmer months, pop into SAKS to chat to one of their hair consultants. What? The pink beauty trend is in full flow this year, with hot pink mascara, eye shadow and vivid cream blushes all appearing in the spring/summer 2019 shows. If you’re a fan of Glossier Cloud Paint, this is a trend for you. How? A new line of long-lasting gel cream eye shadows from Clarins is just the thing. Look out for Ombre Velvet Eyeshadow in Pink Paradise at the Debenhams Clarins counter. Sweep it across your eyes for a pleasing pink matte finish. Meanwhile, Bare Minerals (also available at Debenhams) have launched BarePro® Longwear Lipstick; the first long-wear, vegan lipstick, which is also rich in nourishing minerals. Looking for a loud lip colour? We recommend Dahlia, a vivid violet shade. 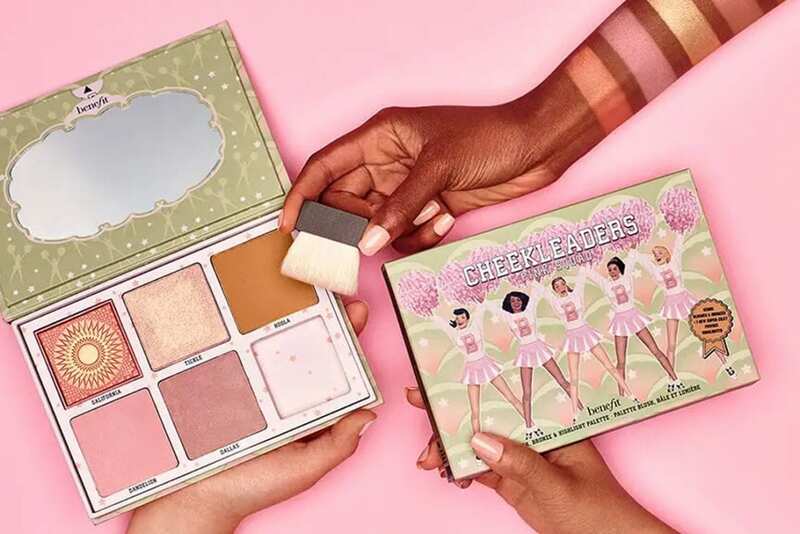 Then there’s Benefit’s new Cheekleaders Pink Squad 5-in-1 Blush, Bronze & Highlight Palette, with rosy pink hues in different shades for sweeping across your cheeks. What? Who can resist a glitter pot? Not us! This season the return of glitter has been hard to miss. At Valentino, glitter eyes were combined with a fresh face for a modern take on disco. Missoni showed off iridescent eyes, while Simone Roche preferred casual dabs of glitter. The variety of approaches has inspired us to dive back into this look. How? You needn’t keep glitter as a festival-only affair. We suggest subtle dabs to work it into your weekday routine. 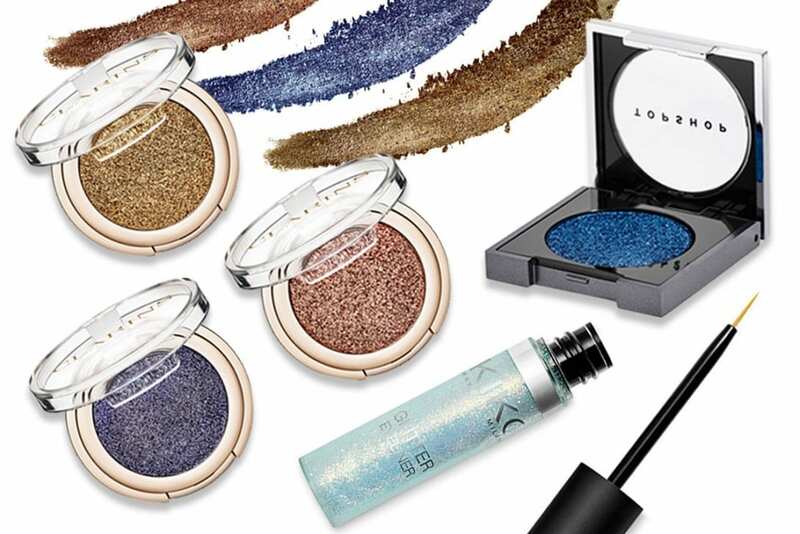 Topshop’s disco-worthy glitter eye shadows are a good place to start – with colours ranging from the muted to the bright. This April, Clarins are launching Ombre Sparkle Power Eyeshadow, with light-reflecting pearls for a natural-looking shimmer. They kick off with three shades: Gold Diamond, Peach Girl and Blue Lagoon. KIKO’s Glitter Eyeliner in Multicolour is a cool way to experiment with iridescence as at Missoni. Draw it over the edges of your lids for an eye-catching sparkle. What? For spring 2019, makeup artists at Erdem and Anna Sui were creating laidback, art-inspired looks with mood-lifting eyeshadows in vivid shades of orange, green, yellow and pink. It’s a fun, playful and colourful trend to try at home, because it’s all about embracing painterly sweeps and not taking yourself too seriously. In short; don’t worry about colouring outside of the lines! How? 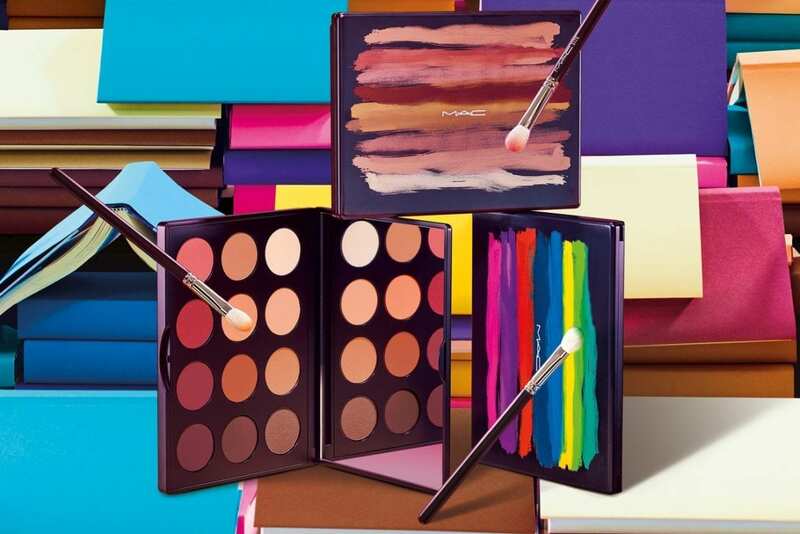 MAC’s new Art Library eye shadow palettes are full of vivid colours for you to try. And the best thing? The 12-piece eye colour palettes come in a set designed with a beautiful painterly smear, just like an artist’s paint tray. Play around with layering as many colours as you like on your lids. What? Getting your skin prepped is just as important as what you put on it. This year, the trend for skin supplements continues, meaning you can pop a capsule with your breakfast for a brighter complexion. Get it ready for the spring months with these boosters. How? 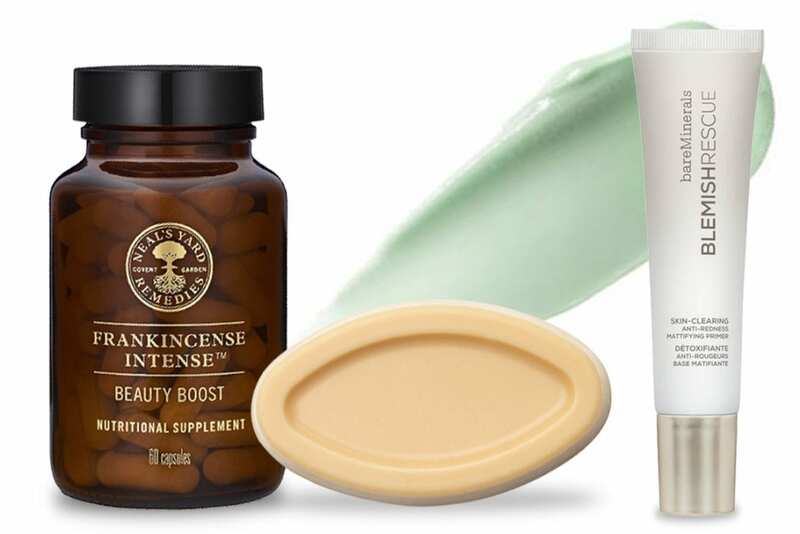 Neal’s Yard’s answer to the beauty supplement craze is Frankincense Intense™ Beauty Boost Supplement, which contains Vitamin C, copper and zinc for healthy skin, hair and collagen formation. Meanwhile for blemish prone skin, Bare Minerals have just released the Blemish Rescue Skin-Clearing Anti-Redness Mattifying Primer, a lightweight gel-lotion primer for the face, with chamomile and arnica. Head to the Bare Minerals counter at Debenhams to give it a try. Finally, Lush are continuing to lead the charge where ‘naked packaging’ is concerned and their Argan Naked Facial Oil is a great intro to skincare in bar-form. It’s made with cocoa, shea butter and Moroccan argan oil for soothing and deeply moisturising you skin. Use it after you cleanse and before using moisturiser.